Quiller Consultants is the latest public affairs agency to join the fight against the Government's high-speed rail line, as ministers threaten to revolt over the issue. The Huntsworth-owned agency has been enlisted by the campaign group Transport Sense, comprising landowners and wealthy residents in Northamptonshire. The Government is preparing a formal consultation on the £17bn London to Birmingham line, which would see up to 18 trains an hour travel at 250mph through the heart of the Chilterns, Buckinghamshire and Northamptonshire. 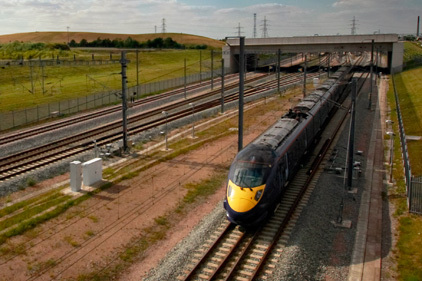 Transport Secretary Philip Hammond says the line is ess­ential to promote economic growth and low-carbon travel. But opponents claim that neither the economic nor the environmental case for the project stacks up, and The Sunday Telegraph this weekend rep­orted that three ministers whose constituencies are dir­ectly affected have threatened to resign over the issue. Quiller is the second Westminster agency to get inv­olved in the battle, after residents’ group Conserve the Chilterns and Countryside Association called in Foresight Consulting to manage lobbying earlier this year. Foresight MD Mark Adams said neither Conserve the Chilterns and Countryside Association nor Transport Sense were expecting the Government to shelve plans for the new rail link entirely. Therefore, he said, both groups were focused on persuading ministers and officials to change the route, rather than on lobbying them to scrap the plans entirely. Transport Sense does not have a website and could not be reached for comment, but it is understood to be backed by wealthy individuals. Quiller consultant George Bridges confirmed the agency had been appointed by Transport Sense but did not provide any further details. Quiller is well known for its links to the Conservatives. Bridges rec­ently worked alongside Chancellor George Osborne in Tory HQ to mastermind the party’s 2010 general election campaign, while agency co-founder Jonathan Hill was ennobled in June and is now junior schools minister. ‘It will be interesting to see if the Tory bluebloods who make up Quiller are willing to get down and dirty with Cameron and Hammond on this project,’ said one industry source.